Good morning!! I am psyched to be participating in the Readathon for the sixth (!) time. I started this day off in bed with a book and breakfast, courtesy of my prince of a hubby. Then I was joined by a little one for some breakfast and the classic Slide and Find ABC. Time for the Introductory Meme! The beautiful state of N.J., USA. I think, at this point, I know not to stress. You read what you can and do whatever else you have to do during the day. It's about fun, not the number of pages read. So excited I get to cheer for you today! It looks like you had an awesome morning (totally jealous of your cinnamon rolls). I'll be popping in from #TeamHughes to check on you through the day, but I think you're going to do awesome. 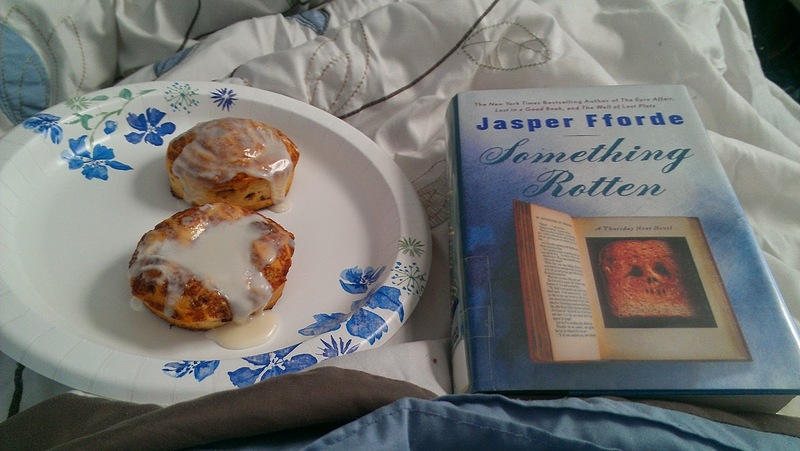 Breakfast and books in bed? That's a great morning already! Happy birthday to you! A readathon on your birthday, you are lucky! And you're reading Fforde, doesn't get much better. Happy readathon! Awww, happy birthday to you! What a great thing to have on your birthday. Hope you're having an extra great day! Happy Birthday! What a way to ensure the day is all about you! I mean that in a very good way! I hope you have an amazing day! Cheering you on from Michigan! Happy Birthday and happy reading! I hope it has been a great day! Happy birthday! What a great way to celebrate! I'm cheering you on with #TeamHughes. Hope you are having fun and still feel motivated. What are you reading now? 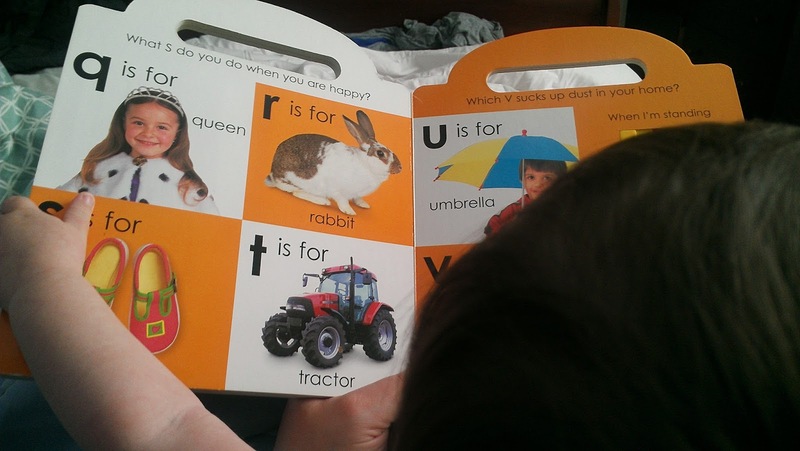 What other books did you read with your child/children?